Years of waiting, conjecture and, ultimately, disappointment for Glock fanboys and fangirls as SHOT Show after SHOT Show rolled by without an announcement of a single-stack 9mm pistol are apparently over. The current industry buzz is that the G43 has arrived – and just in time for the NRAAM in Nashville where consumers may or may not have a chance to get their hands on it (Glock booth: 633). Concealed carriers looking for a pocket-carry piece can probably keep on looking. Glock fans trying to complete their collection with a pistol that is ever-so-slightly smaller than a G26 (but with four fewer rounds) and more powerful than the .380 G42 can rejoice with the new offering. 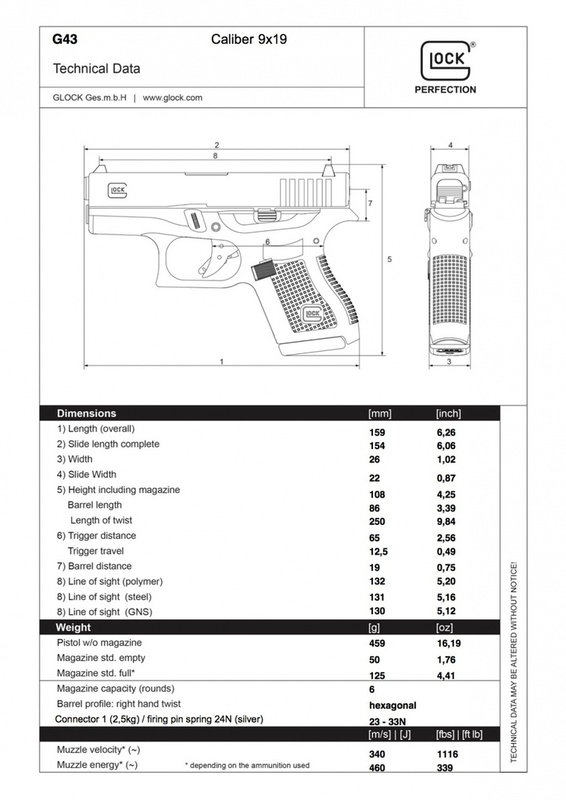 “Leaked” specs indicate that the G43 will be 6.26″ long with a 3.4″ barrel, 4.25″ tall, 0.87″ wide at the slide and 1.02″ wide at the grip. Unburdened by its 6-round magazine, the single-stack 9mm will weigh just shy of 17 oz. Compared to the 10-round G26 or the 6-round .380 G42, the gains (or losses) in size are small, but present. 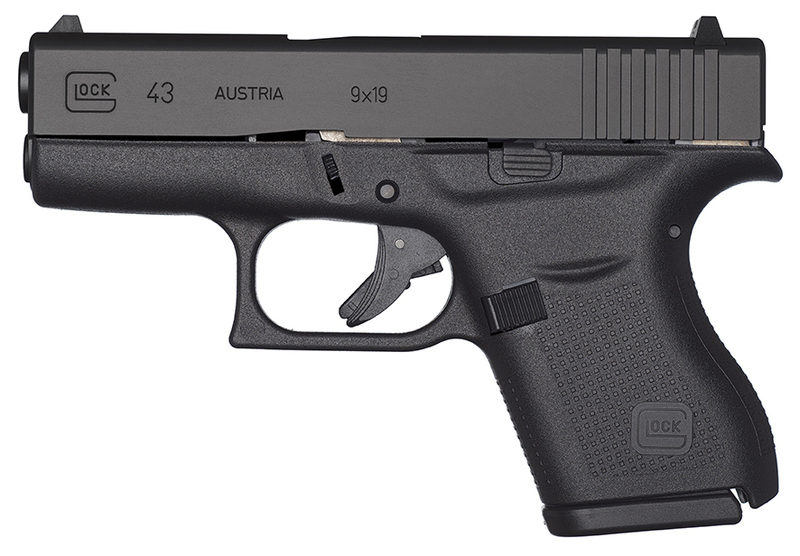 As the intended launch date for the G43 arrives and beyond, more details and hands-on reviews will undoubtedly come out and we will see if the new pistol scratches the itch that some have had for a more powerful US-made single stack from the Austria-based firearm maker. Stay tuned to the GunLink Blog and forums for more details as they become available. In the mean time, feel free to share your initial thoughts in the comments section below. I plan to try to get a couple when they show up local. Blue label price is supposed to be around 360 and street price around 450.